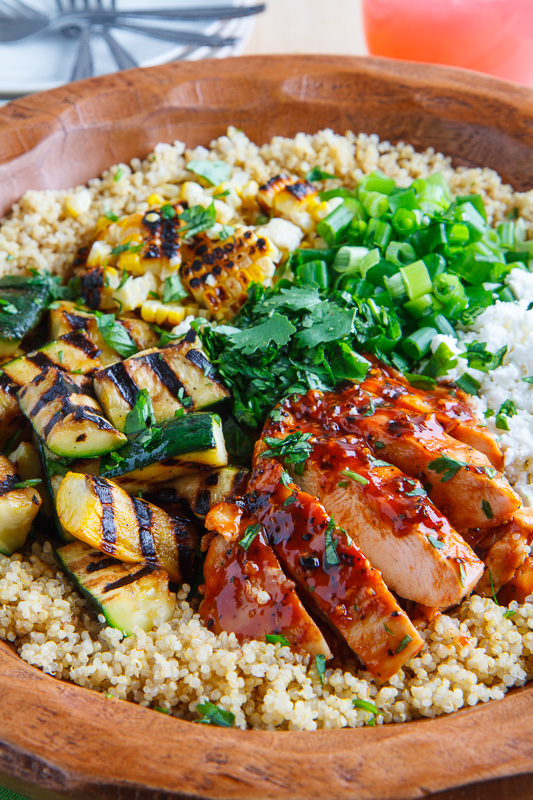 A summery BBQ grilled chicken, zucchini and corn quinoa salad! 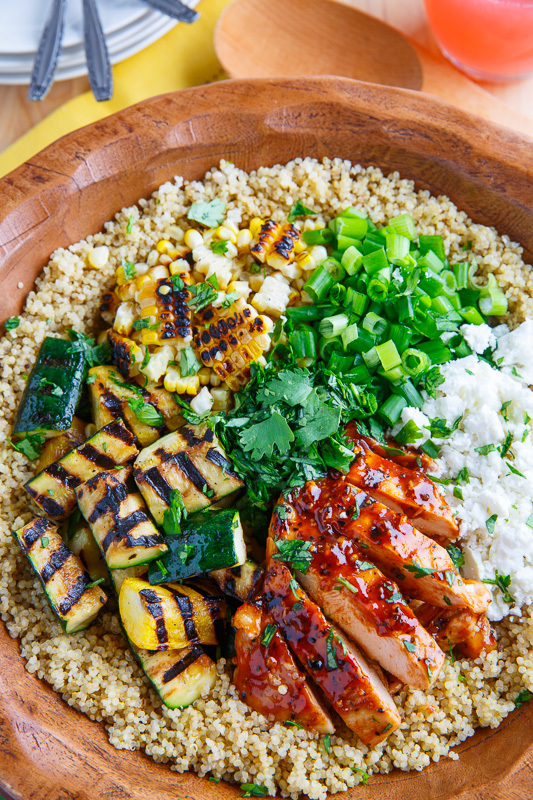 Today I have another summer salad for you that is perfect for outdoor cooking, a grilled BBQ chicken, zucchini and corn quinoa salad! 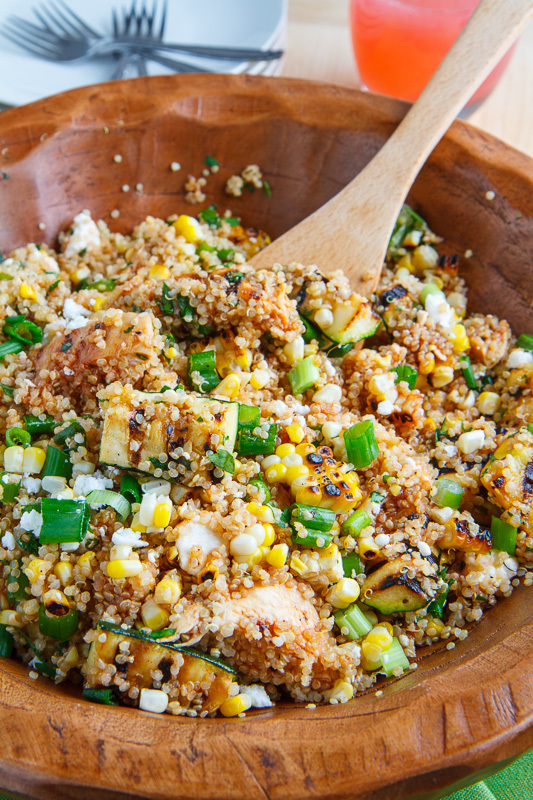 This warm salad is super easy to make and most of it, the chicken, zucchini and corn, is cooked on the grill/bbq so the only other thing that you need to do is cook the quinoa and that can be done ahead of time! Crumbled feta, green onions and cilantro finish the salad off along with extra BBQ sauce as the ‘dressing’. 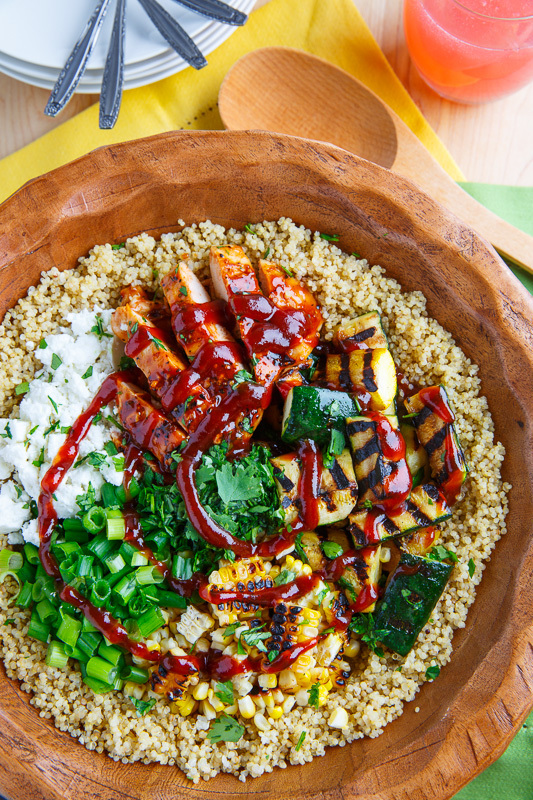 If you are looking for a hearty summer salad that eats like a meal and can be cooked outdoors, in 30 minutes or less, then this grilled BBQ chicken, zucchini and corn quinoa salad is what you are looking for! Add some extra BBQ sauce! Grill the zucchini and the corn until cooked and slightly charred, about 2-3 minutes per side. 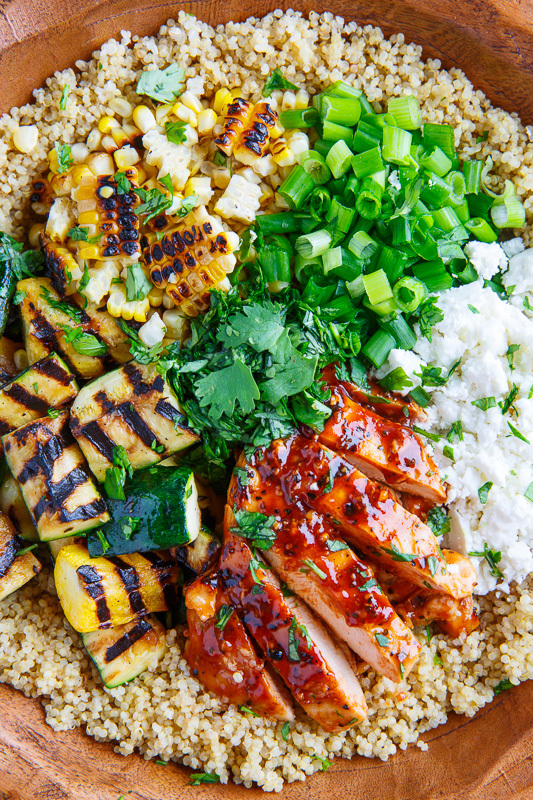 Cut the corn from the cob, assemble the salad and enjoy! Hello, dream summer dinner (and bring to work leftovers)! I'm in love with this!! What a fantastic Summer Salad Kevin! This is my perfect lunch! 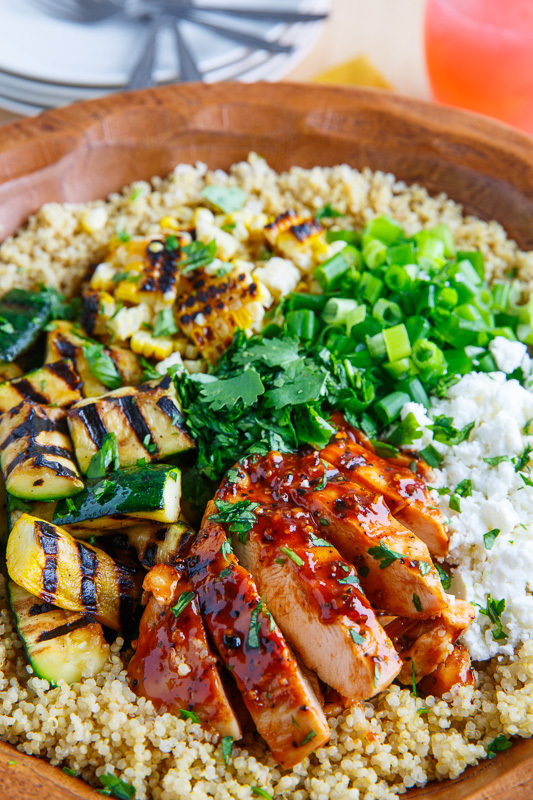 This is seriously the BEST looking grilled BBQ chicken, zucchini and corn salad EVER!!! What a great hearty salad! Want! I am not a feta fan, is there a different option that would be good with this salad? Anonymous: I would go with a goat cheese or a queso fresco as a replacement for the feta. Great recipe – looks super healthy! Ive never tried quinoa. Might have to now though.